Welcome back to the start of the second half of 2017. We have a few new faces joining the Waldorf family on this first day of term – a hearty ‘Welcome!’ to you all. May it be the first of many fond memories at The Waldorf School. The raffle will end in two weeks’ time, on Wednesday, 9 August and we need your support! We have exciting prizes in the draw and need each and every parent on board to please ask family, friends, colleagues and neighbours to please send SMSs. The number of entries we have received thus far is a bit disappointing BUT there are two weeks left…let’s turn this around and help raise the school some much needed funds! It’s the easiest way EVER to enter a raffle: simply SMS your child’s unique code and your own name to 40375 and you have bought a ticket! You can enter as many times as you wish. Apart from the amazing prizes to be won, there are 3 cash prizes of R1000 each for the learners who manage to get the most entries. The class with the most entries wins an outing to Acrobranch! Click here for a list of the prizes and the raffle’s terms and conditions. On Wednesday, 9 August, the Parents’ Committee will host a Women’s Day High Tea in collaboration with Rosemary Hill. It is an excellent opportunity to get your girlfriends, sisters, mothers, grandmothers and daughters together, dress up and have a ‘ladies only’ morning around a stylishly decorated table in the Packhouse at Rosemary Hill. We have secured two exciting speakers for the morning: Anri van der Linde, Girl-School founder (http://girlschool.co.za/welcome/) and Neo Fowler, lifestyle curator and an ex-student of our school. Tickets can be reserved by contacting Rachélle on info@rosemaryhill.co.za – discount applies to tables reserved for 10 or more ladies. Funds raised will go towards the Class 5 & 6 camp in September. Our branded clothing finally arrived during the holiday and orders will be sent home with the children during the course of this week. We ordered some extra items in various colours and sizes so if you missed the deadline for placing your order, you are more than welcome to pop in to the school office to see what we have available, or contact Thea on admin@thewaldorfschool.co.za. Please mark your children’s clothing clearly. Numerous items of clothing are collected each term and remain unclaimed because they are not marked. With the arrival of the school branded clothing we will have many similar t-shirts and fleece jackets in circulation and it will prove even more difficult to find the legitimate owners if it is not marked properly. Please see the updated calendar below for upcoming school events. Most class plays will be happening in this half of the school year and are important events to attend in support of our children. Please don’t forget to swipe your My School Card when you go shopping at Woolies, and at all participating outlets! If you are not registered on the programme, please complete the application form HERE and have the card sent to you. Our school can benefit from your shopping! Link your Makro card to our school – they also have a rewards programme for schools. It is with great sadness that we learned of the sudden passing of Judith Seanego’s husband, Emanuel, last week. Our thoughts and prayers are with her and her two daughters during this very difficult time. Philip Mirkin, our Middle School science teacher, handed in his resignation to the Board of Trustees this past Thursday, 20 July. He wishes to focus more on his studies and other projects and said his goodbyes to the staff and learners this morning. 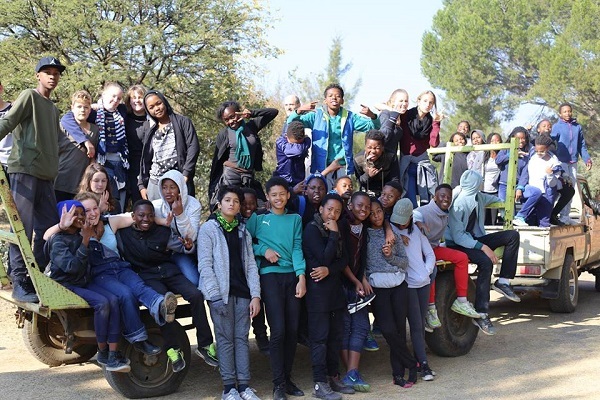 We would like to thank Philip for his involvement and the impact he had in so many learners’ lives during his time at The Waldorf School and we wish him all the best for the completion of his studies and other future endeavours. Daniel Ledwaba will take over guardianship of Class 8. The Board would like to assure our parents that the school’s current financial situation has stabilised as planned after the retrenchment process and that we have the budget for, and are eager to find a suitable candidate for the science post. Regarding Philip’s duties as principal, we will be meeting with the Management Committee within the next week to discuss internal candidates and to do succession planning scenarios before looking elsewhere. Our learner numbers have remained consistent and enrolment and enquiries for 2018 are encouraging. The general outlook for the school is very positive at this stage. The Board would also like to extend a sincere thank you to the College of Teachers for remaining positive and dedicated to the school and the learners during the challenging first half of the year. There is a lively surge of energy in the staff room after the July holiday and we look forward to what the rest of 2017 may bring. Onwards and upwards!